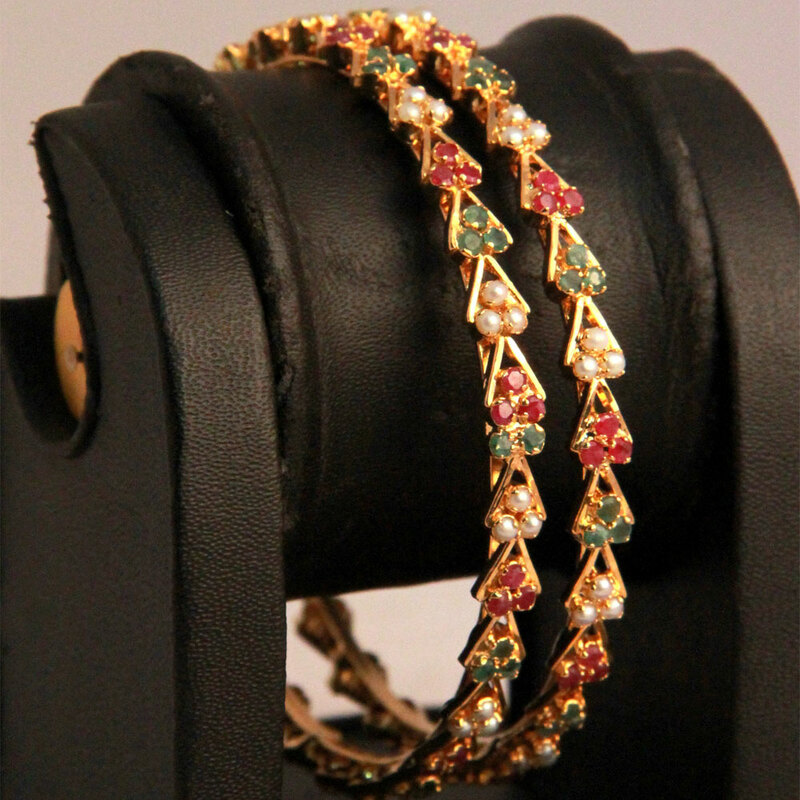 The base has been crafted from gold plated brass and on prime of it square measure placed triangular frames of same metals that are embellished with little rubies, emeralds and pearls. The unusual pattern that adorns this pair of designer bangles gives it an exotic look that attracts any woman. The base has been crafted from Read More..gold plated brass and on top of it are placed triangular frames of same metals, which have been decorated with small rubies, emeralds and pearls. Show Less..